The 14 Best Ways to Avoid BPAs. The primary source of exposure to BPA for most people is through the diet. While air, dust, and water are other possible sources of exposure, BPA in food and beverages accounts for the majority of daily human exposure. Bisphenol A can leach into food from the protective internal epoxy resin coatings of canned foods and from consumer products such as polycarbonate tableware, food storage containers, water bottles, and baby bottles. The degree to which BPA leaches from polycarbonate bottles into liquid may depend more on the temperature of the liquid or bottle, than the age of the container. BPA can also be found in breast milk. How widespread is the problem? The Centers for Disease Control and Prevention (CDC) found detectable levels of BPA in 93% of 2517 urine samples from people six years and older. So what can you do about it? How can you limit your exposure to BPAs in our disposable, convenience-oriented world? Choose the safer plastic container by the recycle codes on the bottom. Some, but not all, plastics that are marked with recycle codes 3 or 7 may be made with BPA. #2, #4, and #5 are better. Swap plastic wrap for parchment paper, glass jars, or beeswax cotton wraps. Reduce your use of canned foods. Even so-called BPA free cans may contain BPS (another estrogen mimic) or PET film (which may contain DEHA). Swap kitchen plastic for glass, porcelain or stainless steel containers, particularly for hot food or liquids. Use baby bottles that are BPA free. 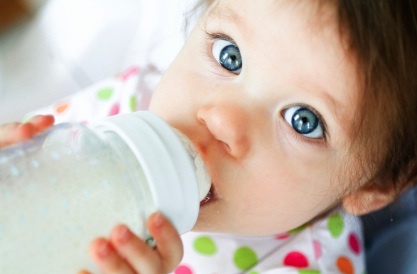 In July 2012, the FDA issued a regulation stating that there is to be no BPA in baby bottles and sippy cups. Choose BPA free coffee by using glass or stainless steel kettles, pots or percolators. Bring your own mug to the coffee shop. Paper cups are often lined with plastic. Choose glass soft drink bottles (if you have to drink soft drinks). Aluminum cans are lined with BPA. Choose electronic receipts and tickets. Thermal paper, including receipts and movie/airline tickets contain BPAs. The BPAs then transfer to your finger and can leach into new paper products including your toilet paper. It’s a better choice for the environment too! Choose wood and cloth toys. They are an excellent toxin-free alternative to plastics and the cloth ones can be thrown in the laundry! Talk to your dentist. Some dental products contain BPA. The bottom line is that we probably cannot avoid BPAs altogether but the risks associated with BPA ingestion are serious enough that it’s not a bad idea to try to at least limit our exposure.